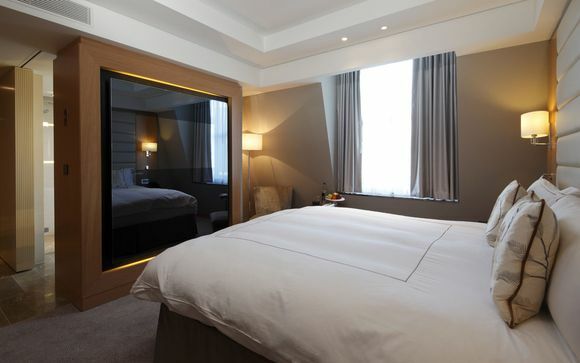 Located in Britain's royal and political heartland, with Buckingham Palace, St. James's Park, Big Ben, the Houses of Parliament and Westminster Abbey on the doorstep, the Conrad London St. James hotel is the ideal choice for the smart luxury traveler. Providing easy access to many of London's most revered landmarks, the Conrad is in an ideal location to enjoy a rewarding trip in the nation's capital. Set just steps from St James's Park, Buckingham Palace and the Houses of Parliament, Conrad London St. James boasts a prestigious, historic façade and a classic, contemporary interior, which showcases stunning art and locally inspired design. 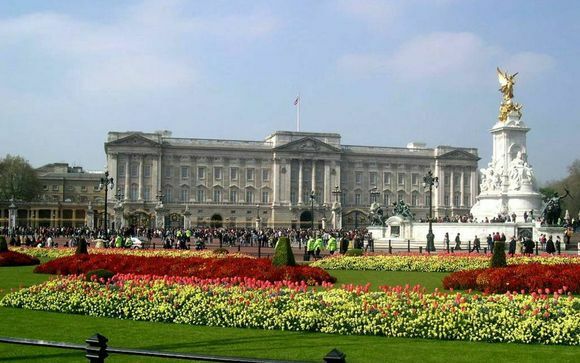 The ideal location connects guests to iconic London landmarks spanning Buckingham Palace to Westminster Abbey, and provides easy access to the City and major conference centers. The hotel effortlessly blends a historic 19th century building with locally inspired style and design - from the calming, contemporary rooms and eye-catching artwork to the seasonal British food and local ales, served in unique and inspiring settings. Experience a world of style in a modern room, featuring a bathtub, a walk-in shower and contemporary in-room technology. Enjoy an innovative take on traditional English food in The Blue Boar restaurant, before sampling a local ale in the Blue Boar bar. Savor a quintessential English afternoon tea in Emmeline's. Energize with the latest equipment in the 24-hour Fitness Center. The hotel's distinguished exterior compliments a beautifully renovated interior within the historic Queen Anne's Chambers. Built at the turn of the 20th Century, Queen Anne's Chambers was a collection of chambers available for rent for those who needed be near the seat of power. It was the war-time location for lobbyists and civil servants whose industries were to be seriously impacted by the onset of war and goods rationing. In later years, the Treasury Solicitor was based at Queen Anne's Chambers. This offer is based on a Deluxe Room. Deluxe Rooms feature large marble bathrooms with a separate bath tub and walk-in rain shower. Deluxe Rooms are perfect for work or play - there is a spacious desk and international media hub that allow guests to connect their mobile and laptop devices to the 42-inch flat-screen satellite HDTV. Guests can also enjoy complimentary WiFi throughout the hotel. An Espresso machine is provided in the room. The Blue Boar offers contemporary British dining in the heart of Westminster. Head Chef Rob Stephens combines fresh, regional ingredients to deliver a mouth-watering menu that celebrates the very best of what each British season brings. Succulent, farm-sourced meat and freshly caught seafood from the Devon and Cornwall coastline are showcased on a menu that is as ideal for a light lunch as it is for a decadent dinner. Private dining at Blue Boar is particularly special with two exceptional spaces, connected to the main restaurant by a floor-to-ceiling wine wall. With locally brewed craft beers and ales, a fine selection of wines and spirits and an ever-evolving cocktail list, The Blue Boar bar offers an exceptional setting where guests can take in the rich heritage of the Westminster scene. Head Chef Rob Stephens' Bar and Late Night menus focus on simplicity and seasonality, whilst the bar's Private Drinking Room can be booked for those that require the ultimate discrete table. Named after the 19th century British political activist Emmeline Pankhurst, Emmelines is the perfect venue to enjoy afternoon tea, an indulgent champagne brunch or a relaxed business meeting. The inviting ambience of the lounge is further enhanced by a live harpist, performing unique classical interpretations of popular contemporary songs. If you are driving to the airport in the UK, and book our package including flights, you may wish to add our Meet and Greet service. Take the hassle out of airport parking and have an official representative take your car on arrival, and it will be waiting for you on your return. This can be added at the next stage of booking process where available.